Come explore what the future of digital signage looks like at Booth #3200 at the Digital Signage Expo 2019! After years of development working with each platform, we decided it was truly time to bring about a positive change and help the industry find the standard API for different digital signage hardware. So, we decided to release signageOS Open. CMS companies can now freely develop their unique CMS features and utilize their code on top of a single codebase for any SoC or media player integration. The purpose of releasing signageOS Open to CMS companies for free is to eliminate the issue of hardware/software compatibility in digital signage. This issue has loomed over the digital signage industry and was one of the main arguments against using SoC displays for digital signage. We want DSE attendees to know the days of "marrying one solution" are over. 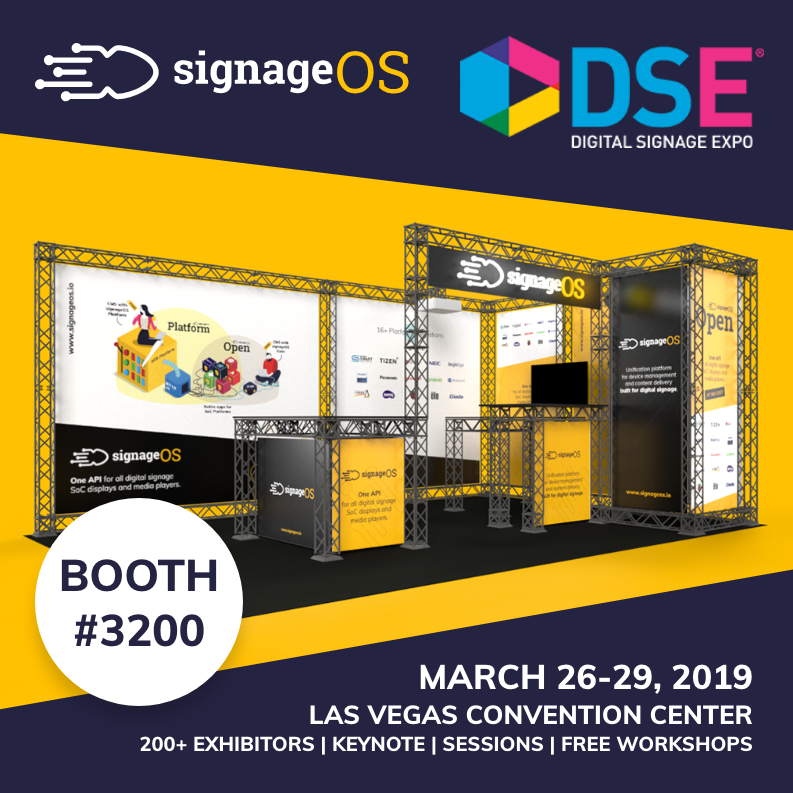 Stop by the signageOS booth #3200 at DSE 2019 to discuss how signageOS is changing the digital signage industry for good!